If the history books were to be closed on singer/songwriter Paul Simon's career today, he'd have already left a legacy more than sufficient to ensure a substantial chapter. While other emergent songwriters of his dayLeonard Cohen, Bob Dylan and Randy Newman amongst themhave clearly evolved over the years, there's been an underlying approach that's remained consistent across, in many cases, half a century. That's not to dismiss or denigrate these icons of song, only to say that Simon has emerged as a songwriter who has not just grown as a wordsmith and composer of catchy, memorable music (as they all have); he's the only one to have looked at the world around him, studying and subsuming advancing technology, diverse genres and, perhaps most importantly, the music of other cultures. It's a mindset Simon shares with the slightly younger British songwriter Peter Gabrieldespite their being completely different in their approachesnot just incorporating these diverse and sometimes disparate concepts into his music but, in the case of pan-cultural concerns, actually locating and working with many of the musicians he studied. Nowhere is this clearer than on The Complete Albums Collection, which collects almost every album Simon has released, starting with 1965's The Paul Simon Songbook (Columbia, 1965) through to his most recent studio record, So Beautiful Or So What (Hear Music, 2011). Only the two-CD/1-DVD Live in New York City (Hear Music, 2012), culled from the limited tour Simon launched in support of So Beautiful, is omitted. Over the course of 46 years, The Complete Albums Collection follows Simon as he moves from acoustic guitar-slinging folk singer to jazz-informed popster, African and Brazilian-tinged world traveler, electro-centric explorer and, finally, consolidator of everything that came before. The collection, housed in a pristine white box with magnets to keep the lid closed, places the 15 CDs, comprising 14 separate releases, in miniature (where relevant) replicas of the original vinyl covers, including the gatefold sleeves for albums like 1975's There Goes Rhymin' Simon (Warner Bros.), complete with lyricssmall but legible. Traversing Simon's career from the age of 23 through to the cusp of his 70th birthday, the box uses the 2004 expanded remasters of everything up to You're The One (Warner Bros., 2000), so that eleven of the albums include bonus tracks ranging from works-in-progress and demos to live performances, alternate versions of tunes with different lyrics and songs that never ultimately appeared on any of his recordings other than greatest hits packages. The box paints a picture of an artist for whom evolution is a constant, and whose ability to tell stories has grown from poetic but, perhaps, youthfully earnest and direct, to more sophisticated, allegorical and impressionistic. Simon may be marginally more prolific than Peter Gabriel, but his output has slowed down, with new studio recordings often five or six years apart; but, like Gabriel, what Simon now lacks in quantitycompared to his early years, where he seemed to be overflowing with ideashe more than makes up for in quality. The first album in the box, The Paul Simon Songbook (Columbia, 1965), is something of an oddity. Recorded that year after the first Simon & Garfunkel record, the all-acoustic Wednesday Morning, 3 AM (Columbia, 1964), failed to ignite as expected, Simon spent some time in England, where he found himself in demand as a coffeehouse singer. Songbook emerged from that experience, recorded at Columbia's London studio to satisfy then-increasing demands for an album by a growing number of British fans. Recorded sparinglyjust Simon's voice and acoustic guitarit's an oddity as it includes a couple of already released songs, specifically "He Was My Brother" and "The Sound of Silence," both appearing on Wednesday Morning, but the latter only becoming a hit when Simon & Garfunkel went electric on their next record, 1966's Sounds of Silence (Columbia). That breakthrough album also featured duo versions of other songs that are on Songbook: "The Leaves That Are Green," "I Am A Rock," "April Come She Will," "Kathy's Song" and "A Most Peculiar Man." 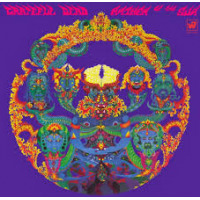 "Patterns," "Flowers Never Bend With The Rainfall" and the obliquely titled "A Simple Desultory Philippic (Or How I Was Robert McNamara'd Into Submission)" ultimately appeared on Parsley, Sage, Rosemary & Thyme (Columbia, 1966), as well as "The Side of a Hill," which did not appear as a standalone tune, but as a countermelody on "Scarborough Fair/Canticle." Which leaves the one song, "A Church is Burning," appearing in two versions: the one that appeared on the album; the other a bonus alternate take. While not appearing on any Simon & Garfunkel studio recordings, it did show up on Live from New York City, 1967 (Columbia, 2002), prior to their winning a Lifetime Achievement Award at the 2003 Grammy Awards. Like some of the other material to be found on The Paul Simon Album, it reflects a young, emerging songwriter who is still a tad obvious and, at times, too coy for his own good. Still, it's an intriguing look at Simon's earliest days, and the chance to hear some Simon & Garfunkel tunes on their own and as wholly acoustic numbers. Some, like "I Am A Rock," may have become a hit for the duo, but Simon's performances here (including a bonus alternate take) suggests, as history has ultimately proven, that while Simon & Garfunkel had value in its time, Simon was already a confident solo performer who might well have succeeded on his own even then. Still, the ultimate success of the duo gave him both the confidence and freedom to ultimately step out on his own with a different conception, as he did in 1972 on Paul Simon, released two years after Simon & Garfunkel's megahit swan song, Bridge Over Troubled Water (Columbia, 1970), an album which also spoke to Simon's burgeoning interest in gospel music. From the opening notes and reggae-fied groove of the opening "Mother and Child Reunion," it's clear that Simon was immediately distancing himself from Simon & Garfunkel while, at the same time, further exploring that interest in gospel music. Co-produced by Simon and Bridge Over Troubled Water co-producer Roy Halee, It was also the beginning of Simon's gradual move towards using musicians from farther afield, and the creation of a growing cadre of players from whom Simon would cull from then on. 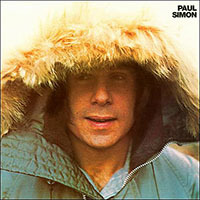 It included a number of jazz musicians who would have an increasing impact on Simon's work, along with blues and Latin music, in particular from Paul Simon through Hearts and Bones (Warner Bros., 1983), his last record before leaping to the next level with 1986's breakthrough, Graceland (Warner Bros.). Not that Simon's career wasn't already successful, or that his pre-Graceland releases didn't have their share of hits. Simon was clearly already a major pop star, but everything changed with Graceland. 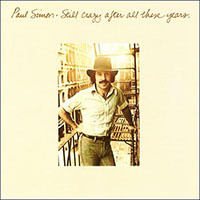 Paul Simon also demonstrated an early interest in what was becoming known as "world music," featuring Brazilian percussionist Airto Moreira (Weather Report, Return to Forever) and Andean music group Los Incas who, after accompanying Simon on Bridge Over Troubled Water's "El Condor Pasa (If I Could)" (a rare non-Simon composition), were invited to collaborate on Paul Simon's "Duncan." 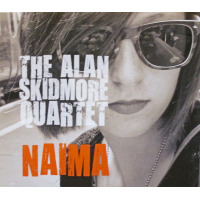 Simon also recruited clear jazzers like bassist Ron Carter, vibraphonist Mike Mainieri and guitarist Jerry Hahn on tracks including "Run That Body Down," going completely manouche on the brief "Hobo's Blues," a light and fun duo with violinist Stephane Grappelli that remains Simon's sole all-instrumental song to this day. 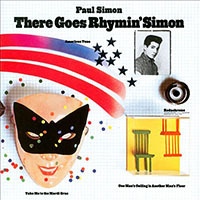 But it was with There Goes Rhymin' Simon (1973) that Simon made his break from his Simon & Garfunkel days complete. Gone was co-producer Halee, along with some of the session players often recruited for Simon & Garfunkel records, like session drummer Hal Blaine and bassist Joe Osborn. With Simon completely in the driver's seat as producer, he fashioned a record that further distanced and defined his style as both a wordsmith and a composer. 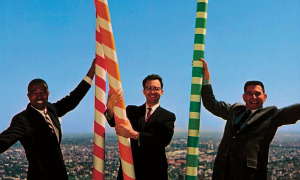 While there are guest appearances by everyone from drummer Grady Tate and bassist Bob Cranshaw to Moreira, the core group that bolsters this collection of ten songswith three major hits in "Kodachrome," the flat-out gospel of "Loves Me Like a Rock" (accompanied by well-known Dixie Hummingbirds) and gentler "American Tune," along with "Take Me To The Mardi Gras," a minor hit in the UKis the infamous Muscle Shoals rhythm section of keyboardist Barry Beckett, bassist David White and Big Neighborhood and drummer Roger Hawkins, where some of the album was recorded. But Simon was branching out even further. 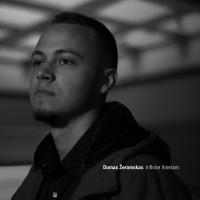 "One Man's Ceiling is Another Man's Floor" may juxtapose a more pop-like set of piano arpeggios with its more down-and-dirty core, but it's ultimately a gospel-inflected blues at its heart, with a chorus that also reflects Simon's increasingly sophisticated way with words. Simon was ultimately considered a more cerebral writer, and there's no doubt that his lyrics here begin to demonstrate greater sophistication and a less direct approach to his subject matter, which ranges from the semi-autobiographical to the socio- political. "American Tune," in particular, tells a well-known story but from a perspective that could be considered as either personal or historical reflection. 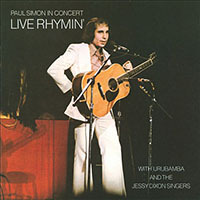 On its release, Paul Simon In Concert: Live Rhymin' (1974) seemed more like a holding pattern than a step forward: the obligatory live album. 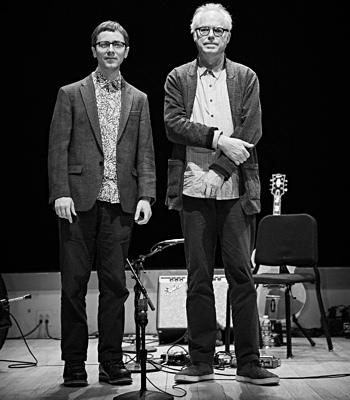 Still, while it begins with Simon solo, it soon turns into a celebration of music from his solo career as well as embracing the Simon & Garfunkel repertoire, reinterpreted with guests Urubamba, the Peruvian group he'd met in Paris that helps him out on "El Condor Pasa (If I Could)" and "Duncan." Even more importantly, the Jessy Dixon Singers makes a first appearance, not only adding vocals to the party, but a rhythm section as well, bringing "Mother And Child Reunion," "The Sound of Silence," "Jesus Is The Answer" (another rare non-Simon track), "Bridge Over Troubled Water" and a particularly buoyant "Loves Me Like A Rock" to joyous, spiritual life. The original album closed with "America," from Simon & Garfunkel's most experimental record, Bookends (Columbia, 1968). It may have represented a holding pattern for Simon, as he worked on his next studio record, and is surprising in its largely "solo plus guests" approach since, by this time, it would have seemed appropriate to tour with a group. It also represents a watershed as Simon embraces his Simon & Garfunkel writing, unlike many artists who, after leaving a group, also leave their past repertoire behind. By including a total of half a dozen Simon & Garfunkel songs in a 12-song set list expanded to fourteen with two bonus tracks"Kodachrome" and "Something So Right," both performed soloSimon made clear that his career was all-inclusive. 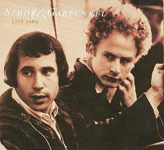 It was a decision made even clearer with the release of Still Crazy After All These Years (Columbia; later Warner Bros.) the following year, where Simon invited Art Garfunkelwho, exploring a career in acting, had appeared in two Mike Nichols films, Catch 22 (1970) and the more controversial Carnal Knowledge (1971), for which he won a Golden Globe nomination for Best Supporting Actor in 1972to join him on what would become a Top 10 hit, "My Little Town." Garfunkel's acting career was, at this point, in a stall; Simon's decision to invite him to sing a songone which never would have fit on a Simon & Garfunkel record, but acted as a reminder of just how simpatico the two singer's voices werecould be perceived, then, as an act of kindness. Garfunkel's post-Simon & Garfunkel musical career was, barring a couple of hits, also far less successful than his songwriting partner's. The biggest problem? Garfunkel was never a songwriter, his solo recordings therefore relying on sourcing suitable material from other sources. It is also more than a little curious that "My Little Town" appeared on Garfunkel's Breakaway (Columbia)released the same month, October, 1975. Clearly some kind of negotiation to allow the two artists to work together and both reap the benefits, while Breakaway would be Garfunkel's most successful solo record (peaking at #9, no doubt bolstered by "My Little Town"), it was still trumped by Simon, whose Still Crazy After All These Years became Simon's first #1 hit in the USA. And it's no surprise, as Simon continued to mine the gospel inflections of his earlier recordings, especially on songs like ""Gone at Last," a flat-out piece of church that, in addition to including the Jessy Dixon singers, is notable for Phoebe Snow's participation, delivering one of her best vocal performances ever. It was one of four Top 40 hits from the album, in addition to "My Little Town," the balladic title track, and the song with what may possess the most instantly recognizable drum intro ever: the #1 hit, "50 Ways To Leave Your Lover." 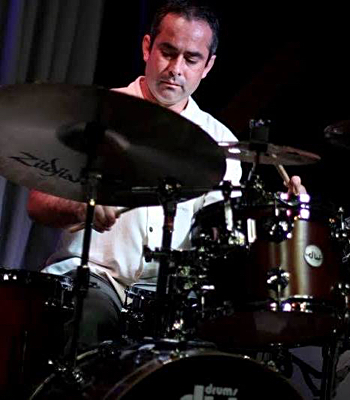 That drum intro came from Steve Gadd who, making his first appearance with Simon here, would continue working with him almost to the present day, last appearing on the singer/songwriter's unjustly overlooked collaboration with British ambient forefather, Brian Eno on 2006's Surprise (Warner Bros.). Still Crazy was the beginning of a shift towards a much jazzier disposition for Simon, largely through enlisting musicians like bassist Tony Levinlater to become a progressive rock figurehead with both Peter Gabriel and King Crimson, but at this point a busy session player who'd also taken part in a number of jazz recordings, including the Arista All Stars' two Blue Montreux (Arista, 1978) releases. Gadd was a busy session player himself, already clocking up considerable acclaim for his groove-heavy work with artists like Chick Corea, George Benson, Hubert Laws and Jim Hall. 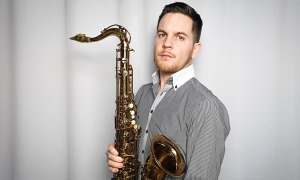 Simon, in fact, was increasingly drawing upon a group of New York-based jazz musicians who were finding themselves much in- demand by pop artists. Some other notable jazzer appearances on Still Crazy include Brecker Brothers Michael and Randy, David Sanborn, Phil Woods, Bob James, Joe Beck, Hugh McCracken, John Tropea, David Spinozza and, perhaps most significantly, Richard Teea supremely soulful pianist who, along with Gadd, guitarists Cornell Dupree and Eric Gale, drummer Christopher Parker and bassist Gordon Edwards (who'd already made his first appearance with Simon on There Goes Rhymin' Simon), were getting ready to release their first album as Stuff, a band that broke no new ground but was a funky, groove-heavy and just plain fun diversion for these busy session players. Amongst the bonus tracks is a demo of "Slip Slidin' Away" (with uncredited bassist and backup female singer), a song that would ultimately become a major hit for Simon but never appeared, in finished form, on any of his records other than "greatest hits" collections, starting with Greatest Hits, Etc. (Columbia, 1977). 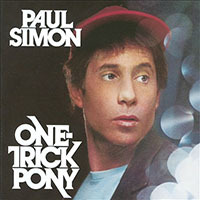 Five years passed before Simon would release his next record, 1980's One-Trick Pony, his first official Warner Bros. release and, in addition to being an album of new songs, was the soundtrack to his film of the same name. The actual versions used in the film were, however, different. Simon wrote and starred in the film as an aging folk-rock singer/songwriter who, after a massive hit in the late 1960s (the Vietnam war protest song, "Soft Parachutes," later included as a bonus track on the 2004 reissue of the CD), was struggling for his artistic life in the late '70s, forced to play in dingy bars where he opened for punk rock bands, and driving to gigs with his group only to find that the venue was closed. Rumored to be loosely autobiographical, the film was a commercial flop (Simon, while successful at inducing sympathy throughout, proved himself the one-trick pony of the title in more ways than one). After the massive success of Still Crazy, the album was also less successful both critically and commercially, even though it reached #12 on the US charts and had a Top 10 hit with the horn-heavy, salsa-driven opener, "Late In The Evening." It's a shame, because time has been much kinder to this record which, while including a number of guest appearances, is largely based around the core of Stuff, but with Tony Levin on bass instead of Gordon Edwards. 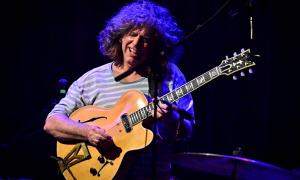 Richard Tee, in addition to defining the texture of the album with his swirling Fender Rhodes, sings backup (along with Levin) on the funkified title track, and comes up front to alternate verses and then sing in tandem with Simon on the equally groove-centric "Ace in the Hole," his growly, blues-drenched voice contrasting with Simon's cleaner but still soulful delivery. 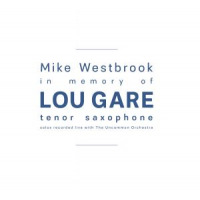 With Steve Gadd in the pocket with Levin, guitarist Eric Gale delivers some suitably simple but expressive lines, as he does on the gentler pulse of "God Bless the Absentee." The bonus tracks, in addition to Simon's "'60s hit" Soft Parachutes," also include "All Because of You," a version of the album's "Oh, Marion" with different (and less successful) lyrics; the unreleased soundtrack recording "Spiral Highway," which applies a different set of words to "How The Heart Approaches What It Yearns"; and, most significantly, the gospel-inflected "Stranded in a Limousine," another song first appearing on Greatest Hits, Etc. but failing to chart like "Slip Slidin' Away," included here largely because it features many of the same players that appear on the rest of the record. After the relative flop of One-Trick Pony, Hearts and Bones (Warner Bros., 1983) slumped Simon's career even further, only managing to chart at #35 in the US. Far from a bad record, it is, however, a relatively weak onein part, for some of his choices for support, with Al Di Meola delivering a characteristically soulless solo on the opening "Allergies," contrasting the emotive playing of past players like Gale. Still, there are songs that merit attention. The folk-driven title trackbolstered by Gadd (who splits much of the album with Steve Ferrone and, on one track, Jeff Porcaro), Tee (replaced, on some tracks, by the capable but less distinctive Greg Phillinganes), Airto Moreira, contrabassist Anthony Jackson (augmented or splitting space on a couple tracks with Marcus Miller)would remain in Simon's live set lists right through to Live in New York City, while "The Late Great Johnny Ace" may be the best, most allegorical homage to John Lennon ever written. "Rene And Georgette Magritte With Their Dog After The War" is another winner, though it's a particularly obscure song for fans, few of whom would know of the surrealist/Dadaist artist of the title. Still, it celebrates another thread that has run through much of Simon's career: the doo-wop groups he grew up listening to as a youngster growing up in 1950s Queens, New York. While Simon's name was big enough to sustain a couple of lesser successes, nobody can sustain a career indefinitely on the "strength" of relatively weak releases. 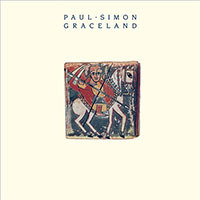 Three years later, however, after discovering the music of South Africa and, to much controversy that has only recently been resolved, going against a world that was largely boycotting the country's apartheid regime by traveling to the politically divided country to both record and play with South African musicians, and then take them on a massive world tour Simon recorded and released Graceland (Warner Bros., 1986). If Peter Gabriel's So (Geffen), released the same year, was the record that made him a superstar, Graceland was the album that elevated Simon from his already star status into the upper echelons of superstardom. With Graceland, Simon also made Ladysmith Black Mambazo into a world-famous South African a capella vocal group that continues to tour on its own to this day. 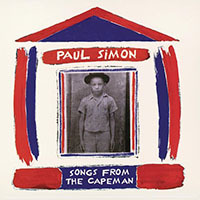 But the group's contribution to the buoyant "Diamonds On The Souls Of Her Shoes" and more poignant "Homeless" also helped make Simon a superstar; the beauty of this record is that it was truly a collaborative effort and, while Simon was castigated in some circles for breaking the apartheid boycott, his view that music must transcend politics is something that has ultimately proven to be true. Simon took his South African friends on a tour of the world that, if anything, bolstered the case for dissolving apartheid, even though would be another eight years before it actually happened. It would be presumptuous to suggest that artists like Simon and albums like Graceland caused, in any way, the end of apartheid; but they did raise its visibility, as Simon not only brought many of the album's musicians on tour, but also exiled South African icons Hugh Masekela and Miriam Makeba. But as much as it was a political statement, the Graceland world tour was also a celebration of the power of music as both a universal language and an agent of change through the raising of awareness. As strong a record as Graceland is, Simon actually managed to trump himself with 1990's The Rhythm Of The Saints (Warner Bros.), an album that married lessons learned on Graceland with Simon's exploration of the music of Brazil. The Rhythm Of The Saints is an even braver record than Graceland. It remains the most complex record of Simon's career, and didn't chart quite as highly, selling fewer copies. Going double platinum in the US (not bad, but far from the quintuple platinum of Graceland), it still managed to not just score a Grammy nomination for Album of the Year (it didn't win), but also one for Producer of the Yearwhich, even though he didn't win, was perhaps even more significant for Simon, who had been co-producing all of his albums since Paul Simon, but had only assumed the role of sole producer with Graceland. Beyond Brazilwhere much of the album's rhythm tracks were recordedThe Rhythm Of The Saints continues to explore Simon's fascination with Africa, this time, West and Central. It represents Simon's first encounter with Cameroonian guitarist Vincent Nguini, who has remained a musical collaborator ever since. It's this pan-cultural approach that makes the album so rich, so dense and, lyrically, Simon's most impressionistic yet. There were no hit singles and, with its preponderance of knotty polyrhythmic ideas and interlocking melodies ("Can't Run But"), it's as far from the simpler song forms of Simon's early recordings as he's ever been. 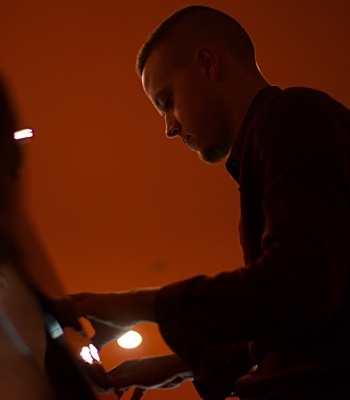 Traditional American forms like AABA are dispensed with; instead, Simon uses instrumental blending and winding melodies that emerge, disappear and then reappear in different contexts as contrasting counterpoints. Different Irregular meters interlock to create pulsating rhythms that are captivating, yet difficult to pin down. It's Simon's most eclectic, esoteric recording, and the one where he proves himself more than just a songwriter or producer; much like Peter Gabrielwhose name keeps coming up for a reasonSimon is a musical explorer, and it's his ability to integrate disparate elements into something that is unmistakably definitive of his own voice is that has rendered him so important in the history of pop music from the 20th century and beyond. While not as commercially successful as its predecessor, that didn't stop Simon from launching a large-scale world tour with a massive, 18-piece groupnot including Grjupo Cultural OLODUM and singer Briz, who reprise their roles on "The Obvious Child," the opening song of both The Rhythm Of The Saints and this live concert recording, Paul Simon's Concert In The Park (Warner Bros., 1991). Along with some of his African and Brazilian friendsamongst them guitarists Nguini and Ray Phiri (the latter from Graceland), and percussionists Mingo Araújo and Cyro BaptistaSimon also enlists Americans Steve Gadd, Michael Brecker (who had solo spot each night, sadly not included on Paul Simon's Concert In The Park), Richard Tee and Chris Botti. It's a group capable of a career-spanning concert that, while containing plenty of songs from Graceland and The Rhythm Of The Saints, also dips back to Paul Simon, for "Me And Julio Down By The Schoolyard," and There Goes Rhymin' Simon, for "Kodachrome" and "Loves Me Like A Rock." 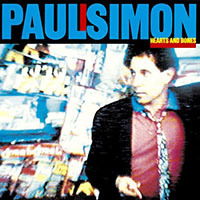 Simon even draws on Hearts and Bones for both the title track and a version of "Train In The Distance" that effortlessly trumps the original. Simon also looks further back to his Simon & Garfunkel days, though he saves those tunes for last: solo acoustic versions of "America" and "The Boxer," followed by an African-ized look at "Cecilia" and a gently electrified "The Sound Of Silence," bringing the two-hour concert to a close. Paul Simon's Concert In The Park is a terrific look at a career that at this point, was well into its third decade. It would be almost 10 years before Simon would release another solo album. Well, almost. Having flopped as a film writer/actor, Simon decided to try his hand at a Broadway play and did even worse. Songs From The Capeman collect songs from a musical (The Capeman) that was not only a commercial flop, losing $11 million, with an initial run of just 68 performances; it was also the lowest charting album of Simon's career. But, again, time has a way of fixing thingswell, in this case, to some extent. 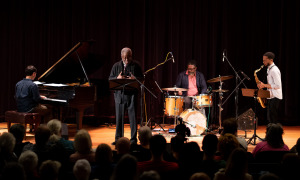 The play and album, based loosely on the life of convicted murderer Salvadore Agrón, was co-written with Nobel prize-winning West Indian author and poet Derek Walcott. The lyrics, according to Simon, were split about 50/50 between the two writers, with Simon composing all the music. And that may be one of its biggest problems; while the music feels, at least to some extent, like a Paul Simon record, the sometimes over-direct nature of the lyrics is something he'd long since left behind for more allegorical and suggestive territory. Which made the appearance of You're The One (Warner Bros., 2000) three years later such a potential treat. While it didn't reach the successes of Graceland or The Rhythm Of The Saints, it did manage a Grammy nomination, and was a strong return to form. Although it's less adventurous than The Rhythm Of The Saints, it's a very consistent set of superb songwriting, from the gentle opener, "That's Where I Belong," to the brighter, episodic "Sweet Lorraine"as truthful and poignant an account of relationships' joys and banalities as is likely to be found. It would be surprising that You're The One had no radio hits if it weren't for the fact that, by 2000, so much had changed in the music industry. The album is filled with catchy lyrics and melodies, delivered by a relatively small cast of musiciansbarring Paul Simon's Concert In The Park, Simon's smallest personnel list since One-Trick Pony. A consolidation of the many interests that Simon has pursued over his career, it's overall a more accessible record than The Rhythm Of The Saints but, by not breaking any new groundor having a compelling back story like Gracelandit has been, to some extent, unfairly assessed as a more average recording when, in fact, it may be one of his best. 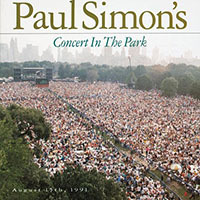 Certainly the three live tracksculled from the subsequent concert DVD as bonus material for the CD 2004 reissue demonstrate that, in performance, this material was as good as anything on Paul Simon's Concert In The Park. After two years touring You're The One and another two years reuniting, off and on, with Art Garfunkel live and in the studio for a comeback tour, live album and video, Surprise was, well, a surprise: a collaboration with Brian Eno. With Simon listed as sole producer, Eno is credited as contributing "electronics" to all of Surprise's eleven tracks. It's an even smaller record, personnel-wise, than You're The One. Since Graceland, Simon had begun to employ a different approach to songwriting: "I start with the rhythm," he explained in a 2006 USA Today interview. "It's drums first, then I go to key to sound to guitar to the form of the song to the beginning of the melody. As the melody begins, so do the words...I write backward." 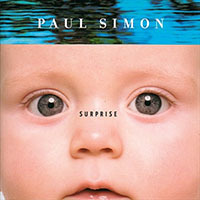 While all of the components that Simon has built upon in his long career are there to be found in Surprise, what makes it such a strong recordone of the best of his careeris that, even as he approached 65 at the time of its release, Simon was still testing himself, keeping his eyes and years open. His voice sounds as strong as ever and there's simply not a weak song in the bunch. 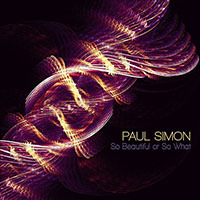 Which brings Simon to the presentor, with So Beautiful Or So What released in 2011, close to. After a run of self-producing, Simon brings back Phil Ramone for the first time since One-Trick Pony, and once again it's a winner. 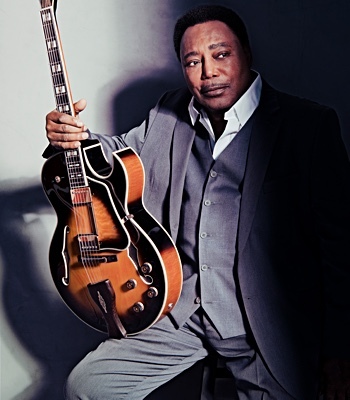 It's another album of both consolidation and forward steps, as Simon's use of samplinga sermon on the opening "Getting Ready For Christmas Day," a cull from "Train Whistle Blues" for the up-tempo "Live Is Eternal Sacred Light," where Simon debuts as a lead guitarist (and a good oneno real surprise if attention is paid to his playing throughout his career), and "Golden Gate Gospel Train" on the gentler "Love And Blessings"demonstrates that Simon's approach to songwriting remains inclusive of developments both cultural and technological. It's a revolutionary album, but in a quiet way. 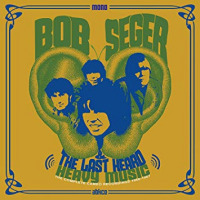 The instrumentation is unusualthere are only two tracks with bass, one played by the album's primary drummer, Jim Oblon ("Love And Blessings"), the other by David Finck (the quiet, chamber-like "Love and Hard Times"). Instead, it's a cornucopia of percussion, guitars, bansuri flutes, glockenspiels, koras, konnakol singing and more. 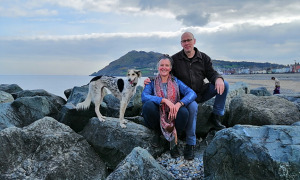 Simon's lyrical pen is as sharp as ever, tempering anger with humor, creating characters and events that are compelling without being either obvious or overstated. And then you wait in the line. It's a truly dark ending to Simon's highest charting album in 20 years. It's also the closer to The Complete Albums Collection, a set of twelve studio recordings and two live albums that may seem diminutive for the 46 years it spans. But, again not unlike the even less prolific Peter Gabriel (only seven studio albums and two live albums in 36 years), Paul Simon's career has been defined by quality, by exploration, and by a steadfast refusal to compromise. 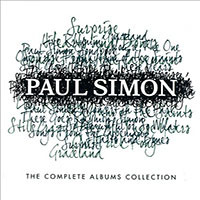 For those who've heard this all before, it may not be news, but for those who've yet to explore the breadth of Paul Simon's career, there's no better place to start than The Complete Albums Collection. Greatest hits collections only tell part of the story; for a songwriter as consistent as Simon, the best way to experience his work is in its entirety, and this beautifully packaged boxwith a booklet that contains, in addition to a brief essay by Ashley Kahn, full track and personnel listings for every record in the setbrings together a life's work that is, hopefully, far from over. I Am A Rock; Leaves That Are Green; A Church Is Burning; April Comes She Will; The Sound of Silence; A Most Peculiar Man; He Was My Brother; Kathy's Song; The Side Of A Hill; A Simple Desultory Philippic (Or How I Was Robert McNamara'd Into Submission); Flowers Never Bend With The Rainfall; Patterns; I Am A Rock (bonus, alternate version); A Church Is Burning (bonus, alternate version). Mother And Child Reunion; Duncan; Everything Put Together Falls Apart; Run That Body Down; Armistice Day; Me And Julio Down By The Schoolyard; Peace Like A River; Papa Hobo; Hobo's Blues; Paranoia Blues; Congratulations; Me And Julio Down By The Schoolyard (bonus, demo); Duncan (bonus, demo); Paranoia Blues (bonus, unreleased version). Kodachrome; Tenderness; Take Me To The Mardi Gras; Something So Right; One Man's Ceiling Is Another Man's Floor: American Tune; Was A Sunny Day; Learn How To Fall; St. Judy's Comet; Loves Me Like A Rock; Let Me Live In Your City (bonus, work-in-progress); Take Me To The Mardi Gras (bonus, acoustic demo); American Tune (bonus, unfinished demo); Loves Me Like A Rock (bonus, acoustic demo). Me And Julio Down By The Schoolyard; Homeward Bound; American Tune; En Condor Pasa (If I Could); Duncan; The Boxer; Mother And Child Reunion; The Sound Of Silence; Jesus Is The Answer; Bridge Over Troubled Water; Loves Me Like A Rock; America; Kodachrome (bonus); Something So Right (bonus). Still Crazy After All These Years; My Little Town; I Do It For Your Love; 50 Ways To Leave Your Lover; Night Game; Gone At Last; Some Folks' Lives Roll Easy; Have A Good Time; You're Kind; Silent Eyes; Slip Slidin' Away (bonus, demo); Gone At Last (bonus, original demo with Jerry Dixon Singers). Late In The Evening; That's Why God Made The Movies; One-Trick Pony; How The Heart Approaches What It Yearns; Oh, Marion; Ace In The Hole; Nobody; Jonah; God Bless The Absentee; Long, Long Day; Soft Parachutes (bonus, unreleased soundtrack recording); All Because Of You (bonus, outtake); Spiral Highway (bonus, unreleased soundtrack recording); Stranded in A Limousine (bonus, from Greatest Hits, Columbia, 1977). Allergies; Hearts And Bones; When Numbers Get Serious; Think Too Much (b); Song About The Moon; Think Too Much (a); Train In The Distance; Rene And Georgette Magritte With Their Dog After The War; Cars Are Cars; The Late Great Johnny Ace; Shelter Of Your Arms (bonus, work-in-progress); Train In The Distance (bonus, original acoustic demo); Rene And Georgette Magritte With Their Dog After The War (bonus, original acoustic demo); The Late Great Johnny Ace (bonus, original acoustic demo). The Boy In The Bubble; Graceland; I Know What I Know; Gumboots; Diamonds On The Soles Of Her Shoes; You Can Call Me Al; Under African Skies; Homeless; Crazy Love; That Was Your Mother; All Around The World Or The Myth Of Fingerprints; Homeless (bonus, demo); Diamonds On The Soles Of Her Shoes (bonus, alternate version); All Around The World Or The Myth Of Fingerprints (bonus, early version); You Can Call Me Al (bonus, demo, The Ovation Studio Recordings); Crazy Love (bonus, demo, The Ovation Studio Recordings); The Story of "Graceland" (bonus, as told by Paul Simon). The Obvious Child; Can't Run But; The Coast; Proof; Further To Fly; She Moves On; Born At The Right Time; The Cool, Cool River; Spirit Voices; The Rhythm Of The Saints; Born At The Right Time (bonus, original acoustic demo); Thelma (bonus, outtake, first issued on Paul Simon 1964/1993, Warner Bros., 1993); The Coast (bonus, work-in-progress); Spirit Voices (bonus, work-in-progress). CD1: The Obvious Child; The Boy In The Bubble; She Moves On; Kodachrome; Born At The Right Time; Train In The Distance; Me And Julio Down By The Schoolyard; I Know What I Know; The Cool, Cool River; Bridge Over Troubled Water; Proof. 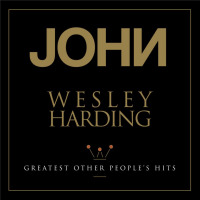 CD2: The Coast; Graceland; You Can Call Me Al; Still Crazy After All These Years; Loves Me Like A Rock; Diamonds On The Soles Of Her Shoes; Hearts And Bones; Late In The Evening; America; The Boxer; Cecilia; The Sound of Silence. Adios Hermanos; Born In Puerto Rico; Satin Summer Nights; Bernadette; The Vampires; Quality; Can I Forgive Him; Sunday Afternoon; Killer Wants To Go To College; Time Is An Ocean; Virgil; Killer Wants To Go To College II; Trailways Bus; Shoplifting Clothes (bonus); Born In Puerto Rico (bonus, demo with José Feliciano); Can I Forgive Him (bonus, original demo). That's Where I Belong; Darling Lorraine; Old; You're The One; The Teacher; Look At That; Señorita With A Necklace of Tears; Love; Pigs, Sheep and Wolves; Hurricane Eyes; Quiet; That's Where I Belong (bonus, live, from You’re The One: In Concert, Warner Home Video, 2001); Old (bonus, live, from You’re The One: In Concert, Warner Home Video, 2001); Hurricane Eyes (bonus, live, from You’re The One: In Concert, Warner Home Video, 2001). Getting Ready For Christmas Day; The Afterlife; Dazzling Blue; Rewrite; Love And Hard Times; Love Is Eternal Sacred Light; Amulet; Questions For The Angels; Love & Blessings; So Beautiful Or So What. Paul Simon: vocals, 6-string guitar, 12-string guitar. 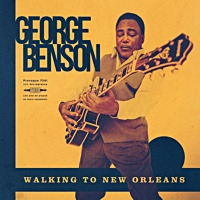 Paul Simon: vocals, guitar (2-9, 11), percussion (10) ; Huks Brown: guitar (1); Wallace Wilson: rhythm guitar (1); Neville Hinds: organ (1); Jackie Jackson: bass (1); Winston Grennan: drums (1);; Denzil Laing: percussion (1); Larry Knechtel: piano (1, 11), organ (3, 11), electric piano (3), harmonium (8); Cissy Houston: vocals (1); Renelle Stafford: vocals (1), Deirdre Tuck: vocals (1); Von Eva Sims; vocals (1); Los Incas: charango (2), flutes (2), percussion (2); David Spinozza: guitar (4, 6); Mike Mainieri: vibes (4); Jerry Hahn: electric guitar (4, 5); Ron Carter: bass (4); Hal Blaine: drums (4, 10, 11); Airto Moreira: percussion (5, 6); Fred Lipsius: horns (5); John Schroer: horns (5, 10); Russel George: bass (6); Victor Montanez: drums (7); Joe Osborn: bass (7, 11); Charlie McCoy: bass harmonica (8); Stéphane Grappelli: violin (9); Stefan Grossman: bottleneck guitar (10); Steve Turré: horns (10). Paul Simon: vocals, guitar (1, 3, 4, 6-10); Pete Carr: guitar (1, 5, 9), electric guitar (3); Jimmy Johnson: electric guitar (1, 3); David Hood: bass (1, 3, 5, 9, 10); Roger Hawkins: drums (1, 3, 5, 10), percussion (9); Barry Beckett: keyboards (1, 9), piano (5), vibes (9); Cornell Dupree: guitar (2); Gordon Edwards (2); Paul Griffin: piano (2); Rick Marotta: drums (2); The Dixie Hummingbirds: vocals (2, 10); Allen Toussaint: horn arrangement (2); Rev. 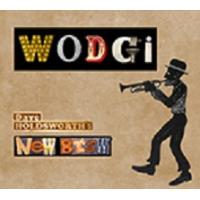 Claude Jeter: falsetto voice (3); Onward Brass Band: horns (3); David Spinozza: guitar (4); Alexander Gafa: guitar (4); Bob Cranshaw: electric bass (4), bass (6, 7); Richard Davis: acoustic bass (4); Grady Tate: drums (4, 6); Bob James: keyboards (4, 6); Bobby Scott: piano (4); Don Elliott: vibes (4); Quincy Jones: string arrangement (4); Del Newman: string arrangement (6); Airto Moreira: percussion (7); Maggie Roche: vocals (7); Terry Roche: vocals (7); Jerry Puckett: guitar (8); Vernie Robb ins: bass (8); James Straud: drums (8); Carson Witsett: drums (8). 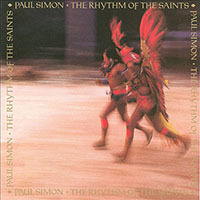 Paul Simon: vocals, guitar; Jessy Dixon Singers: vocals (7-); Urubamba: additional instruments (4-6). 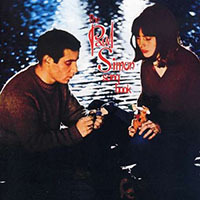 Paul Simon: vocals, acoustic guitar (2-4, 9), electric guitar (5), horn arrangement (7, 9), string arrangement (7); Barry Beckett: electric piano (1), piano (2); David Hood: bass (1, 2); Roger Hawkins: drums (1, 2); Mike Brecker: saxophone solo (1), saxophone (7); Bob James: woodwind and string arrangement (1), string arrangement (3), electric piano (7, 8); Pete Carr: electric guitar (2); Ralph MacDonald: percussion (2-4, 6, 8); Art Garfunkel: vocals (2); Dave Matthews: horn arrangement (2, 8); Joe Beck: electric guitar (3, 8, 9); Jerry Friedman: electric guitar (3); Tony Levin: bass (3-5, 7-10); Steve Gadd: drums (3, 4, 7-10); Sivuca: accordion (3), vocal solo (3); Ken Asher: electric piano (3), organ (4); Hugh McCracken: electric guitar (4, 7, 8), acoustic guitar (9); John Tropea: electric guitar (4); Phoebe Snow: background vocals (4), vocals (6); Valerie Simpson: background vocals (4, 8); Patti Austin: background vocals (4); Toots Thielemans: harmonica (5); Richard Tee: piano (6); Gordon Edwards: bass (6); Grady Tate: drums (6); Jessy Dixon Singers: background vocals (6); David Sanborn: saxophone (7); Eddie Daniels: saxophone (7); Phil Woods: saxophone solo (8); Leon Pendarvis: piano (10); Chicago Community Choir: background vocals (10). 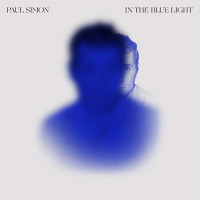 Paul Simon: vocals, background vocals (1, 5-7, 10), nylon string guitar (2, 4, 8), electric guitar (3, 6), string arrangement (4, 8), horn arrangement (4, 8, 14), percussion (8); Steve Gadd: drums (1-10, 14); Eric Gale; electric guitar (1, 4, 9), lead electric guitar (3, 6), nylon string guitar (4); Hugh McCracken: acoustic guitar (1, 2, 7, 9, 10), slide guitar (2); Tony Levin: bass (1-4, 6-10), background vocals (6); Ralph MacDonald: percussion (1, 2, 8); Dave Grusin: horn arrangement (1, 9), string arrangement (9); Richard Tee: piano (2-10, 14), vocals (3, 6), tambourine (6), background vocals (6); Hiram Bullock: electric guitar (2); Don Grolnick: synthesizer; Anthony Jackson: bass (5); Jeff Mironov: electric guitar (5); Jon Faddis: flugelhorn (5); John Tropea: acoustic guitar (8); Patti Austin: vocals (10), background vocals (10); Joe Beck: electric guitar (10); Lani Grove: background vocals (10); Bob Friedman: horn and string arrangements (10); Gordon Edwards: bass (14); Randy Brecker: trumpet (14); Marvin Stamm: trumpet (14); Irwin Markowitz: trumpet (10); Michael Brecker: saxophone (14); David Sanborn: saxophone (14); Lou Delgado: saxophone (14). Paul Simon: vocals, acoustic guitar (1, 2, 4, 5, 10), electric guitar (8), Linn drum machine programming (9); Dean Parks: electric guitar (1, 4, 5, 7, 10), hi string guitar (2); Al Di Meola: guitar solo (1); Anthony Jackson: contrabass guitar (1-5, 7-9); Steve Gadd: drums (1, 2, 4, 5, 10); Steve Ferrone: drums (1, 3, 6); Greg Phillinganes: Fender Rhodes (1, 5, 10); Rob Sabino: synthesizers (1, 9), piano (8); Rob Mounsey: synthesizers (1), vocoder (5); Airto Moreira: percussion (1-4, 7); Dave Matthews: horn arrangement (1, 9); Richard Tee: Fender Rhodes (2, 7, 8), keyboards (3), piano (4), synthesizer (8); Mike Mainieri: vibes (2, 7), marimba (2, 4); Eric Gale: electric guitar (3); Tom Coppola: Synclavier (3-6); Marcus Miller: bass (4, 7); Nile Rodgers: electric guitar (6, 9), Linn drum machine programming (9); Bernard Edwards: bass (6); Jeff Porcaro: drums (7); Jess Levy: cello (7); Peter Gordon: French horn (7); Mark Rivera: alto saxophone (7); Wells Chrsitie: Synclavier (8); The Harptones: background vocals (8), vocal arrangement (8); Georges Delerue: orchestration (8); Sid McGinnis: electric guitar (10); Michael Boddicker: synthesizer (10); Philip Glass: closing composition/orchestration (10); Michael Riesman: conductor (10), synthesizer (10); Carol Wincenc: flute (10); George Marge: bass clarinet (10); Marin Alsop: violin (10); Frederick Ziotkin: cello (10); Jill Jaffe: viola (10). 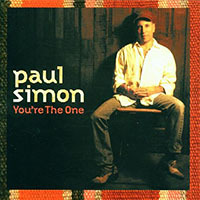 Paul Simon: vocals, acoustic guitar (1, 11), background vocals (1, 2, 4, 6, 9), Synclavier (3, 4), guitar (6, 7), six-string electric bass (6); Forere Motloheloa: accordion (1); Bakithi Kumalo: bass (1, 2, 5-7); Vusi Khumalo: drums (1, 2); Makhaya Mahlangu: percussion (1, 2); Adrian Belew: synthesizer guitar (1, 6, 9), guitar (7); Rob Mounsey: synthesizer (1, 6); Chikapa "Ray" Phiri: guitar (2, 5-7, 9); Demola Adepoju: pedal steel (2); The Everly Brothers: vocals (2); General M.D. Shirinda and The Gaza Sisters: vocals (3); Jonhjon Mkhalali: accordion (4); Lulu Masilela: tambourines (4); Donald Xilakazi: lead guitar (4), rhythm guitar (4); Petrus Manile: drums (4); Barney Rachabane: saxophones (4); Mike Makhalemele: saxophones (4); Teaspoon Ndlele: saxophones (4); Ralph MacDonald: percussion (4, 6, 7, 11); Diane Garisto: background vocals (4); Michele Cobbs: background vocals (4); Isaac Mtshali: drums (5-7, 9); Youssou N'Dour: percussion (5); Babacar Faye: percussion (5); Assane Thiam: percussion (5); Earl Gardner: trumpet (5); Leonard Pickett: tenor saxophone (5); Alex Foster: alto saxophone (5); Ladysmith Black Mambazo: vocals (5, 8); Ronald E. Cuber: bass saxophone (6), baritone saxophone (6); Jon Faddis: trumpet (6); Randy Brecker: trumpet (6); Lewis Michael Soloff: trumpet (6); Alan Rubin: trumpet (6); David W. Bargeron: trombone (6); Kim Allan Cissel: trombone (6); Morris Goldberg: pennywhistle solo (6), soprano saxophone (9); Linda Ronstadt: vocals (7); Joseph Shanalala: lead singer (8); Lloyd Lelose: bass (9); Alton Rubin, Sr. (Dopsie): accordion (10); Altgon Rubin, Jr.: drums (10); David Rubin: washboard (10); Alonzo Johnson: bass (10); Sherman Robinson: guitar (10); Johnny Hoyte: saxophone (10); César Rosas: guitar (11), vocals (11); David Hildago: guitar (11), accordion (11), vocals (11); Louie Perez: drums (11); Steve Berlin: saxophone (11); Conrad Lozano: bass; Steve Gadd: additional drums (11). Paul Simon: vocals, guitar (1, 3, 7-9), background vocals (4); Grupo Cultural OLODUM: drums (1); Kim Wilson; Harmonica (1); Michael Brecker: Akai EWI synthesizer (1, 3, 5, 8, 9, 12), saxophone (6); Briz: background vocals; UAKTI: drums (2), percussion effects (8), percussion (10); J.J. Cale: guitar (2, 7); Steve Gadd: drums (2, 4, 12); Nana Vasconcelos: percussion (2, 10, 12), gourds (3, 5, 8, 9), voice (4), berimbau (8, 10), triangle (9), congas (9); Mingo Araújo: talking drum (2, 4), triangle (2, 8), casinet (2), African bells (3), shaker (3), cymbal (4), bass drums (4, 9), percussion (5), congas (6-8, 12), a-go-go- bells (7), sordu (12); Remy Kabocka: talking drum (2); Mazzola: chicote (2); Paulo Santos: chicote (2); Vincent Nguini: guitar (3, 5-10, 12), bass (5, 8), clave (9); Bakithi Kumalo: bass (3, 4, 7, 9); Greg Phillinganes: synthesizer (3, 5, 8); Jude Bethel: tenor saxophone (3); Charles Doherty: alto saxophone (3, 8), tenor saxophone (8); Clifton Anderson: trombone (3, 8); Errol Ince: trumpet (3, 8); Clyde Mitchell: trumpet (3, 8); Ladysmith Black Mambazo: background vocals (3); Karen Bernód: background vocals (3); Myrna Lynn Gomila: background vocals (3); Kia Y. Jeffries: background vocals (3); Georges Seba: electric guitar (4); Martin Atangana: electric guitar (4); Andre Manga; bass (4); Justin Tchounou: synthesizer (4); Yo Yo de la Nelson: chakeire: (4, 7, 8); Sidinho: water bowl (4), bongos (5), congas (5-7, 9), bass drum (7), bottles (7), tambourine (9); Dom Chacal: bongos (4, 6, 12), congas (5, 7), bata (5, 12), gourd (9); Alain Hatot: saxophone (4); Phillipe Slominski: trumpet (4); Jacques Bolognesi: trombone (4); Jimmy McDonald: accordion (4); Florence Gnimagnon: background vocals (4, 6, 7); Charlotte Mbango: background vocals (4, 6, 7); Djana'd: background vocals (4, 6, 7); Elolongue Mbango Catherine: background vocals (4, 6, 7); Briz: background vocals (4); Rigo Star: guitar (5); Rafael Rabello: classical guitar (5); Jorginho: additional percussion effects (5); Marcalzinho: additional percussion effects (5); Wilson das Neves: additional percussion effects (5), cowbell (6); Canegal: additional percussion effects (5); Beloba: additional percussion effects (5); Lujna: additional percussion effects (5); Pedro Sorongo: additional percussion effects (5), scraper (6); David Bargeron; euphonium (5); Randy Brecker: trumpet (5), piccolo trumpet (6); Hugh Masekela: flugelhorn (5); Ray Phiri: guitar (6); Armand Sabal-Leco: bass (6, 7, 9, 10, 12); Gordinho: sordu (6); Felix Sabal-Lecco: drums (7); C.J. 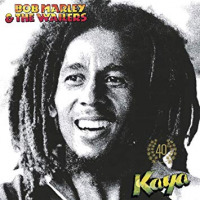 Chenier: accordion (7); Asante: box drum (8); Milton Nascimento: vocals (9); Francisco ASquabella: congas (9); Giovanni Hidalgo: congas (9); Anthony Carillo: bongos (9); Adrian Belew: guitar synthesizer (9), guitar (12); Kofi Electrik: guitar (10); Tommy Bilson-Ogoe: guitar (10); Joao Severo da Silva: accordion (10); Armando Macedo: Baiana guitar (10); Jerry Douglas: dobro (12). Paul Simon: vocals, guitar; Mingo Araújo: percussion; Cyro Baptista: percussion; Chris Botti: trumpet; Michael Brecker: saxophone, EWI; Tony Cedras: keyboards, accordion; Dom Chacal: percussion; Steve Gadd: drums; Sidinho Moreira: percussion; Vincent Nguini: guitar; Ray Phiri: guitar; Barney Rachabane: saxophone, pennywhistle; Armand Sabal-Lecco: bass; John Selolwane: guitar; Richard Tee: keyboards; Julia Waters: vocals; Maxine Waters: vocals; Oren Waters; vocals; Grjupo Cultural OLODUM: percussion (1); Briz: vocals (1). Paul Simon: lead vocals (1-7, 9, 11-13), acoustic guitar (2-4, 7, 9-13), background vocals (3, 4, 6), hi string guitar (4, 8);Briz: background vocals (1, 3); Myrna Gomila: background vocals (1, 3, 4, 6), duo vocals (3, 6); Karen Bernod: background vocals (1, 3); Remee Connell-Adams: background vocals (1, 3); DeWayne Snype: background vocals (1, 3); Kia Jeffries: background vocals (1, 3); Ed Vasquez: background vocals (1, 3); Derrick James: background vocals (1, 3); Oriene Lopez: organ (1); Danny Rivera: coro vocals (2); Ray De La Paz: background vocals (2, 4); Nestor Sanchez: background vocals (2); Oscar Hernandez: piano (2, 5, 8, 10), synthesizer (2, 4), celeste (4), vibes (4), glockenspiel (4), horn arrangement (5); Nelson Gonzalez: tres (2), plenaro (2); Edgardo Miranda: cuatro (2, 3); Vincent , 13i: guitar (2, 4, 10); John Beal: bass (2, 4); Robby Ameen: drums (2); Bobby Allende: bongos (2), cymbal (2), bell tree (4); Marc Quínones: timbales (2), congas (2), cua (2); David Rodriguez: trumpet, 1st solo (2), trumpet (10); Ray Vega: trumpet, 2nd solo (2), trumpet (5), solo trumpet (5); Juliet Hafner: viola (2); Oriente Lopez: flute (2, 10), horn arrangement (10), Fender Rhodes (13); Stewart Rose: French horn (2); Marcia Butler: oboe (2); Stanley Silverman: orchestration (2, 10), orchestral conductor (8); Marc Anthony: lead vocals (3, 10); Teana Rodriguez: background vocals (3, 4, 6), duo vocals (3, 6); Edgar Stewart: background vocals (3); David Mann: tenor saxophone (3), baritone saxophone (3); Milton Cardona: background vocals (4), bongos (8), maracas (8), clave (8), congas (10), guira (10); Kevin Harrison: background vocals (4); Paul Livant: guitar (4); Bill Holman: tenor saxophone (4); Horace Ott: piano (4, 9); Robby Ameen: drums (4, 10), guitar case kick drum (4); Angelo Aponte: background vocals (5); Milton Cardona: background vocals (5); Hechter Ubarry: background vocals (5); David Davila: background vocals (5); Hans Giraldo: background vocals (5); Luis Marrero: background vocals (5); Angel Ramirez: background vocals (5); Robert Vargas: background vocals (5); Bernie Minoso: bass (5); Edwin Montalvo: congas (5); Johnny Andrews: timbales (5); Pablo Nunez: bongos (5), cowbell (5); John Walsh: trumpet (5); Luis Lopez: trombone (5); Mitch Frohman: tenor saxophone (5); Pablo Calogero: baritone saxophone (5), bass clarinet (10); Franko Negroni: falsetto lead vocals (6); Bobby Bright: background vocals (6); Sean Pulley: background vocals (6);Trent Sutton: background vocals (6); Dionte Sutton: background vocals (6); Wallace Richardson: guitar (6); Paul Griffin: piano (6); Jay Leonhart: bass (6); Jimmy Sabater: conga (6), cowbell (6); Richard Crooks: drums (6); Chrids Eminizer: tenor saxophone (6); Ednita Nazario: lead vocals (8); Saturnino Laboy: acoustic guitar (8); Diomedes Matos: acoustic guitar (8); Ruben Rodriguez: bass (8, 10); Laura Bontrager; cello (8, 10); Oriente Lopez: flute (8); Harper Simon: guitar (9, 11, 12), harmonica (9); Arlen Roth: guitar (9, 11, 12, 13), acoustic gujitar solo (13); Tony Garnier: bass (9, 11, 12); Shannon Ford: drums (9, 11-13); Ruben Blades: lead vocals (10); Steve Cropper: guitar (10); Bobby Franceschini: soprano saxophone (10); Barry Danielian: flugelhorn (10); Ozzie Melendez: trombone (10); Krista Feeney: violin (10); Paul Peabody: violin (10); Janet Hafner: viola (10); Vic Miles: interviewer, courtesy WCBS-TV, 1973 (12); Savlador Agron: subject (12); Sara Ramirez: vocals (13); Robby Turner: pedal steel guitar (13); Bakithi Kumalo: bass (13); Bill Holloman: trumpet (13); Mike Ramos: accordion (13); Crusher Bennett: shaker (13). Paul Simon: vocals, electric guitar (1-4, 6-8, 10), acoustic guitar (7, 8, 10), sitar guitar (8); Vincent Nguini: electric guitar (1-4, 6. 9, 10), electric bass (8), acoustic guitar (10); Bakithi Kumalo: bass (1-4, 7-9); Steve Gadd: drums (1-7, 9, 10); Jamey Haddad: percussion (1-10); Steve Shehan: percussion (1-10); Alain Mallet: Wurlitzer piano (1), pump reed organ (4, 7, 11); Evan Ziporyn: bass clarinet (1, 5); Steve Gorn: bamboo flute (1, 5, 6, 8); Jay Elfenbein: vielle (1), vihuela (1, 2, 11); Mark Stewart: cello (2), electric guitar (2); Clifford Carter: celeste (2, 6, 10), keyboard (10), glockenspiel (10); Peter Herbert: upright bass (4, 11); Larry Campbell: pedal steel guitar (5, 6); Abraham Laboriel: bass (5, 6, 10); Howard Levy: harmonica (5); Mark Stewart: dobro (7, 9), sitar guitar (7), pedal steel guitar (9), banjo (10), tromba doo (11); Skip La Plante: 96-tone harp (7, 11), whirly pipe (11), rubbed steel bowl (11); Dan Duggan: hammer dulcimer (10). Paul Simon: vocals, guitar (1, 3-10), electric guitar (2, 11), acoustic guitar (2, 11), nylon string guitar (11); Brian Eno: electronics (1-10); Pino Palladino: bass (1, 3, 5, 6, 8, 10); Steve Gadd: drums (1, 2, 4-11); Robin DiMaggio: drums (1, 3, 5, 7, 10); Gil Goldstein: harmonium (1, 7), keyboards (5); Bill Frisell: electric guitar (2); Abraham Laboriel: bass (2, 7, 11); Alex Al: bass (4); Herbie Hancock: piano (5); Jessy Dixon Singers: choir (5); Leo Abrahams: fretless bass (9); Jamey Haddad: percussion (9); Vincent Nguini: acoustic rhythm guitar (11); Adrian Simon: additional voice (11). Paul Simon: vocals, electric guitar (1, 3, 10), percussion (1-4, 6, 8, 9), 12-string rhythm guitar (2), acoustic guitar (3-5, 9), glockenspiel (3, 6, 10), whistle (4), bells (5), lead electric guitar (6), guitar (7, 8), nylon string guitar (9), Moog guitar (9); Edie Brickell: background harmony (1); Rev J.M. Gares and congregation: sermon (1), call and response (1); Vincent Nguini: electric guitar (1, 2), acoustic rhythm guitar (1), acoustic guitar (10); Jim Oblon: drums (1, 2, 6, 9, 10), slide baritone guitar (2), percussion (6), drop-D electric guitar (6), Danelectro bass (9); Doyle Lawson & Quicksilver: background vocals (3, 6); Joshua Swift: dobro (3); Gabe Witcher: fiddle (3); Karaikudi R. Mani: Indian ensemble (3), vocal syllables of percussion (Konnakkol/Mridangam) (3); V.B. Madhusadanan: tabla (3); V. Suresh-Ghatam: clay pot (3); Yacouba Sissoko: kora (4); Steve Shehan: tuned bass djembe (4), bass talking drum (4), angklung (4, 10), glass harp (4), brushes (4, 6), cymbals (6), congas (6), sticks (6), crotales (10), bass (10), saz (10), resonator (10); Mick Rossi: piano ( 5); Vincent Lionti: viola (5); Desiree Elsevier: viola (5); Lois Martin: viola (5); Richard Locker: cello (5); Jeanne LeBlanc: cello (5); David Fincke: bass (5); Pamela Sklar: flute (5); Elizabeth Mann: flute (5); Sara Cutler: flute (5); Charles Pillow: clarinet (5); Mary Abr: clarinet (5); Dianne Lesser: English horn (5); Gil Goldstein: arranger (5); Sonny Terry: harmonica solo (6);Chris Bear: electronic intro (6); Skip La Plante: gongs (8), wind chimes (8), 96-note harp (8); Sara Cutler: harp (8); Nancy Zeltsman: marimba (8); Lulu Simon: background harmony (9); Dr. Michael White: clarinet (9); Steve Gorn: bansuri flutes (10).